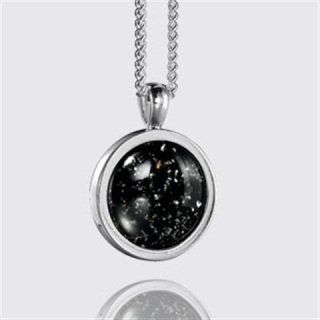 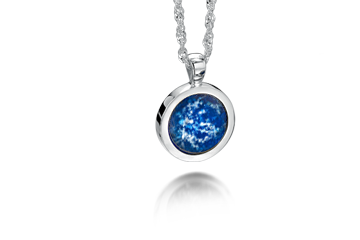 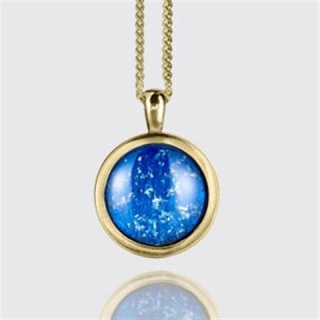 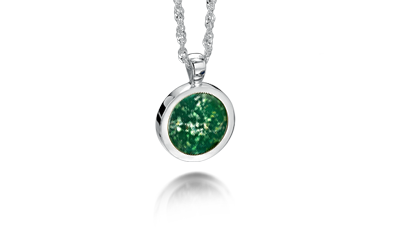 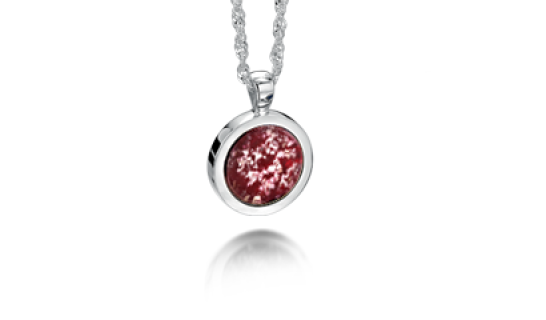 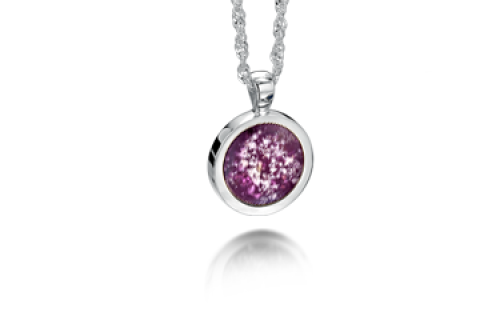 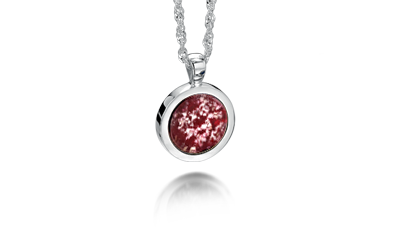 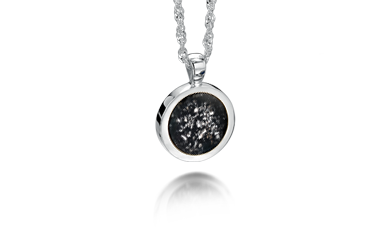 The Round Pendant comes in Sterling Silver, 9ct Gold or White Gold complete with an 18 inch hallmarked chain. 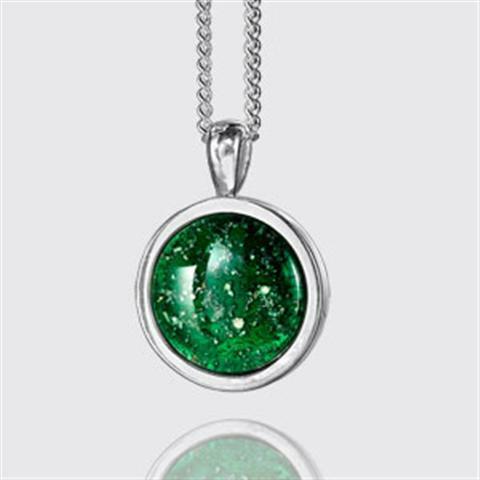 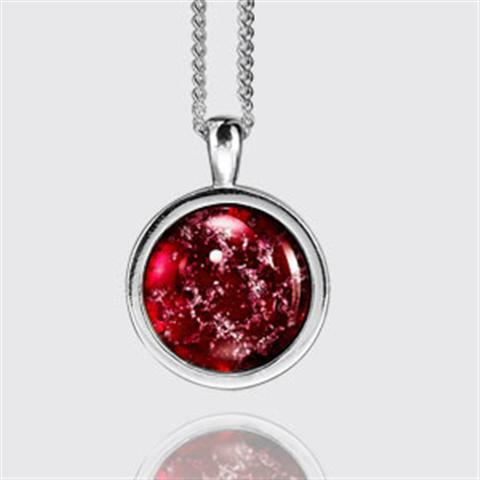 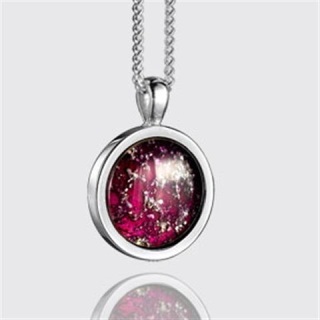 There is a choice of five colours and we will engrave your own personal message on the back of the pendant (up to 25 characters). The stone size is 14mm in diameter and 4mm in width.